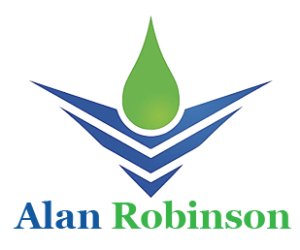 Alan Robinson is a recognised businessman and entrepreneur in the fields of Aviation, telecommunications and media, with a 30 year track record as the Chairman, CEO or Managing Director of companies specialising in the licensing, ownership, design, build, operation and development of complex and often “disruptive” technology and infrastructure projects of medium to long duration and high capital growth. These have included the development and certification of new Very Light Jet (“VLJ”) aircraft & air taxi; the ownership, development and operation of privatised Regional Airports in Europe as well as the design, construction and operation of new-build airports; the franchising, design, installation and operation of large scale broadband telecommunications and submarine cable systems; the creation of local Cable and Satellite channels; and the creation of a national guide publication. As an innovative industry leader and founder of many small to medium sized companies (including Telewest), this has necessitated the ability to deal with national and international government licensing of infrastructure, complex international corporate structures, raising substantial equity and debt finance and to sit on the boards of many UK and European companies and trade Associations. In March 2008, at the age of 56, Alan stepped down as the active CEO of West Midlands International Airport Limited and also as the Chairman and CEO of Convergence International Airports Organisation Limited (“CIAO”), to pursue more actively his passion for flying and photography in conjunction with looking for new business opportunities principally in Africa, America (North and South), Canada and Europe, for ERRAF Limited (an Anglo American Joint Venture company). From 2005 to 2008 Alan was Chairman of CAFCO-C, airport group holding company and the CEO of Coventry International Airport in the West Midlands. Since 2004 CIAO has been active in the acquisition and development of a number of European regional airports being privatised as well as the design and construction of three new build airport projects in Spain, Italy and a new airport on the island of St Helena in the South Atlantic some 1,500 miles off West Africa. Convergence Communications of Greece E.P.E, and Convergence Ventures Ltd. Since 1997, Alan was based in the Mediterranean developing the business of Convergence in the region. For twenty two years he was the founder, Chairman and Chief Executive of The Convergence Group Plc., (formerly European Broadband Systems Plc.) and was a Director of Convergence Group International S.A. (“CGI”) until 2003. 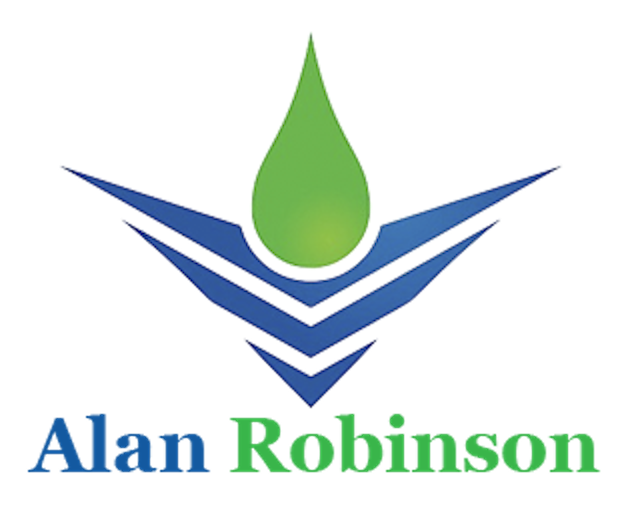 From January 1991 until January 1996, Alan was also Chairman and Chief Executive of Eurobell (Holdings) PLC. At that time, Eurobell was the UK’s eighth largest MSO operator holding franchises in Crawley, South Devon and West Kent. Alan was a pioneer, owner and developer of the UK and USA broadband cable telecommunications industry for over 27 years and was responsible for franchising more than 2.5 million broadband homes in the UK. Upon his return to the UK after working in Athens, Greece for many years pre Olympic Games, he established a new presence in the UK regional airport industry when, in 2004, he founded CIAO and Convergence-AFCO Holdings Ltd (“CAFCOHL”) in partnership with Aviation Facility Company Inc (“AFCO”) from the USA. In 2005 CAFCOHL bid for and successfully acquired through its subsidiary CAFCO (Coventry) limited, the ownership and operation of West Midlands International Airport at Coventry with some 800,000 passengers per annum. CAFCOHL changed its name to ERRAF Limited in December 2008. His initial training experience was gained in the USA where he worked for, among others, Cable Telecommunications Inc, a business with mature networks and high penetration rates. He has wide experience of commercial cable TV operations and broadband technology. In 1982, Alan founded Croydon Cable Television Limited, one of the 11 initial UK pilot cable franchises and, as Managing Director, was responsible for its successful construction and operation until the sale of the franchise to United Cable in 1987, which then became Telewest, listed in 1994 for £1.8 bn. During this same period he established and managed Cable Guide Limited, a national weekly cable TV programme listings magazine, formed Crystalvision, the award-winning local channel and Production Company, and the UK Cable operators buying group which is now the BRAVO channel. In 1987 Alan founded West Midlands Cable Communications Limited (“WMCC”), and subsequently won franchises covering 620,000 homes, including the Black Country (at the time, the largest franchise in Europe) and Telford. From 1989 to 1991 he was the Managing Director of Goldcrest Communications Limited (Goldcrest Film) and he negotiated the profitable sale of the Black Country and Telford franchises to South Western Bell International Holdings Limited. At the same time, Convergence purchased the Crawley, Horley and Gatwick franchise -Eurobell. From 1993 to 1999 Alan was a Director of the Cable Communications Association (UK) and for a period, held the position of Vice Chairman. From 1994 to 1997, he represented the UK on the European DVB Standards Board. Alan has been the Chairman of the European Federation of Advanced Communications Technologies (EuroFACT), was a member of the Federation of Electronic Industries (“FEI”), the Trade Association (formerly EEA), and sat on the New Technologies Broadband Committee (“NTBC”) and the European Information and Technology Association (“EITA”); For more than 10 years his company managed or participated in leading edge technology research under the European Research into Advanced Telecommunications (“RACE”) programme under DGXIII; He was on the Advisory Board of the Visionaire Vantage VLJ development programme for 4 years and has been involved in the Eclipse VLJ development of 1,100 aircraft for DayJet. He is a member of Airports Council International (“ACI”); European Business Aircraft Association (“EBAA”); the Institute of Directors (“IOD”); Aviation Club UK; Aircraft Owners and Pilots Association (“AOPA”); and Experimental Aircraft Association (“EAA”). He is on the Board of Managers of Wingedfoot Aviation Holdings LLC, and the Advisory board of DayJet Corporation (Delaware). He also sits on the Board of The Art of Living Life (Charlotte) and the Advisory Board of The Herring Houses of Dothan (Alabama). Qualifications:– Diploma in Company Direction, Institute of Directors, 1986. & Rotary Wing, Drone Commercial – since 1972. PADI Rescue diver & Y.M.C.A. Scuba Diver since 1972. Sustainable Aviation environmental advisor for CIAO Ltd.
CHAIRMAN CAFCO-C, European airport group holding company. CHAIRMAN & CEO CIAO Limited, airport development and management company –operator of Coventry airport. FOUNDER & DIRECTOR ERRAF Limited as USA/UK Aviation Joint Venture partnership to own, develop and operate regional airports and related facilities in Europe and USA. CEO Silk Rout Holdings SA and Silk Route Systems which gained the first International facilities Licence to land a 2,100 km optical fibre submarine cable into Greece from Milan, Italy for 2004 Olympics. Pioneered the use of wireless broadband into Greece and Internet data centres. FOUNDER & CEO Convergence Group International SA, which became the master holding company for all telecoms and aviation activities in UK, Europe and USA. Moved family to Athens, Greece. PRESIDENT of Convergence Communications of Greece EPE formed as subsidiary of TCG (see earlier 1985) for a bid to build a broadband data system in Piraeus, Athens, Greece. FOUNDER, CHAIRMAN & CEO Eurobell (Holdings) Limited, became the UK’s first Commercial Broadband Cable Telephony operator and 8th largest Multiple Cable System Operator (MSO). Part of the European RACE programme. MD of Goldcrest Communications Limited, a wholly owned subsidiary of Goldcrest Films. FOUNDER & MD of West Midlands Cable Communications Limited, which bid for and won the largest UK broadband cable franchise at 500,000 homes in the Black Country. Went on to win Telford and Crawley Horley & Gatwick franchises. Group was sold to Southwestern Bell International Holdings in 1991. FOUNDER & MD of Crystalvision Ltd, the first UK Cable local television News and entertainment channel. This went on to win numerous awards and became Mainline Television Limited in 1993. FOUNDER & MD of Cable Programming Group Ltd, the first independent multi- system cable TV programming buyers consortium for UK industry. 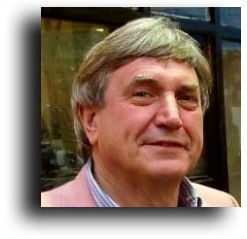 FOUNDER & MD of Cable Guide Ltd, the first independent multisystem cable TV programming guide for UK industry. FOUNDER, CHAIRMAN & CEO of Interactive Services & Business Developments Ltd which ultimately became in 1996 The Convergence Group Plc. (“TCG”). This was the master services and management company for all the broadband systems that followed for the next 21 years. FOUNDER & MD of Croydon Cable Television Limited, one of first 11 broadband television franchises awarded in 1983. Became Telewest Plc and publically floated in 1994 for £1.8bn. BUSINESS DEVLOPMENT CONSULTANT for three Dallas, Texas, based companies: D & L Corp, P.E.T.I. and Petro Management International, Inc. FOUNDER & MD of DUVARAY Corporation became exclusive USA, Canada & Mexico, distributor for FIOS SLUMBERDOWN (UK) down and textile products. PROFESSIONAL PHOTOGRAPHER & GALLERY DESIGN CONSULTANT – worked principally in USA, plus also UK and Europe.